Contact Us | Chemplex Industries, Inc. Welcome to Chemplex Industries, Inc. Need to contact us? It's easy. Use our simple Online Contact Form below to e-mail us immediately with your comments or questions. 1.5µm Etnom® is now available in the SpectroMembrane® carrier frame format. The perfect fit for labs processing XRF of FTIR samples where intermediate pelletizing force is required along with automated operation. Gas 4 and 8 Position, Electric 1 and 3 Position. Please contact our team of Fusion sales personnel fusion@chemplex.com for assistance. An interactive Windows Application enabling the user to explore different thin-films to determine the perfit one to suite thier applicaitons. Pre-fused FusionFlux® formulations with and without the Non-wetting agents. Bench-top sample grinder for those users who require their sample's particle sizes to be down at the micron level. Full line of platinum ware for use with virtually all major fusion machines. Please contact our team of Fusion sales personnel fusion@chemplex.com for assistance. The Sample Cup Wizard is configured to lead you directly to the appropriate website page for sample cup options based on one measurement: the inside diameter of your sample cup holder. That measurement will represent the diameter of the sample cup. 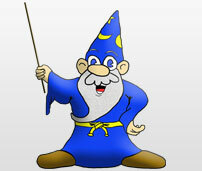 So take an accurate measurement of the sample cup holder and keep it handy; the Wizard will ask you for it. © 2010-2018 all rights reserved Chemplex Industries, Inc.